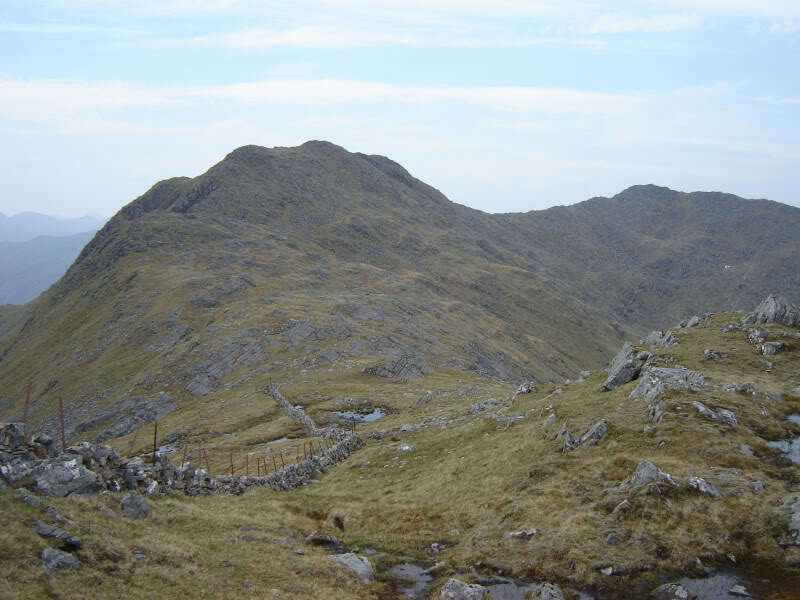 Sgurr a'Bhac Chaolais and Buidhe Bheinn are hills of equal height - both classed as separate Corbetts despite not having the necessary 500 feet drop between them. 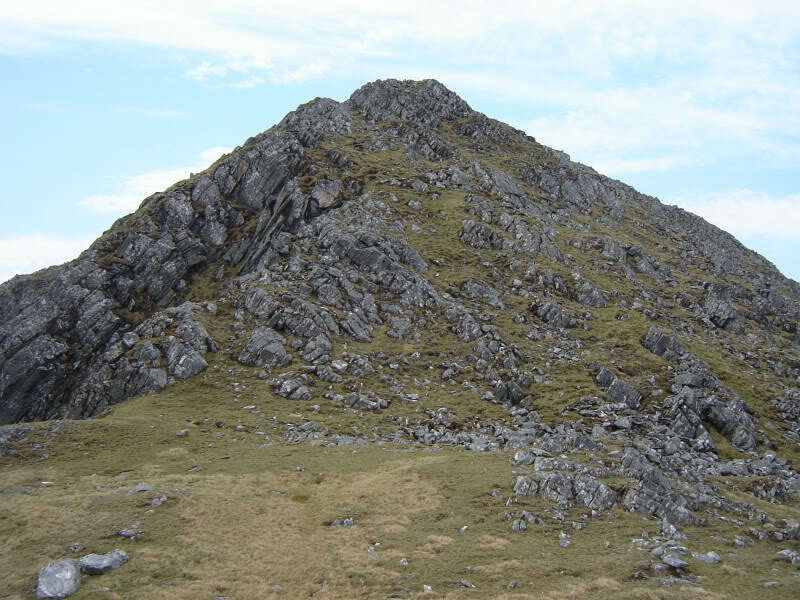 Only Sgurr a'Bhac Chaolais is a Marilyn. 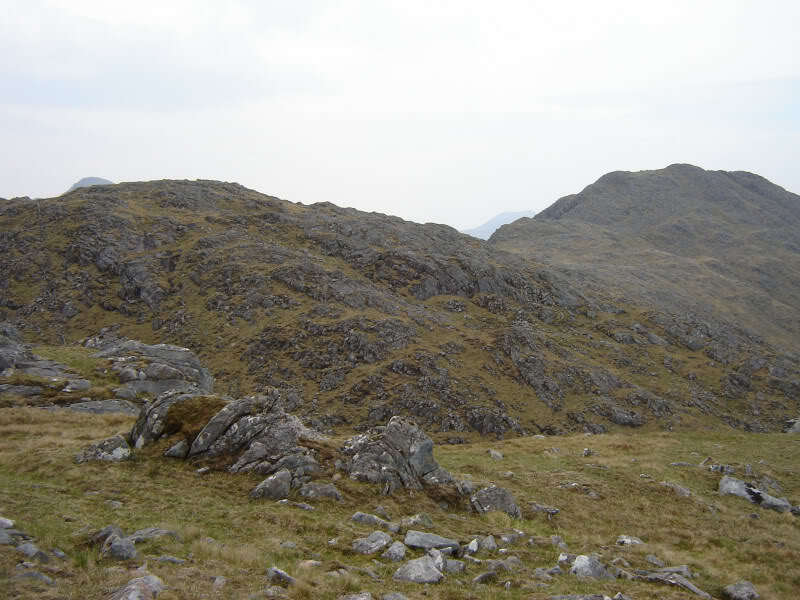 In my view they are a single twin-topped Corbett. 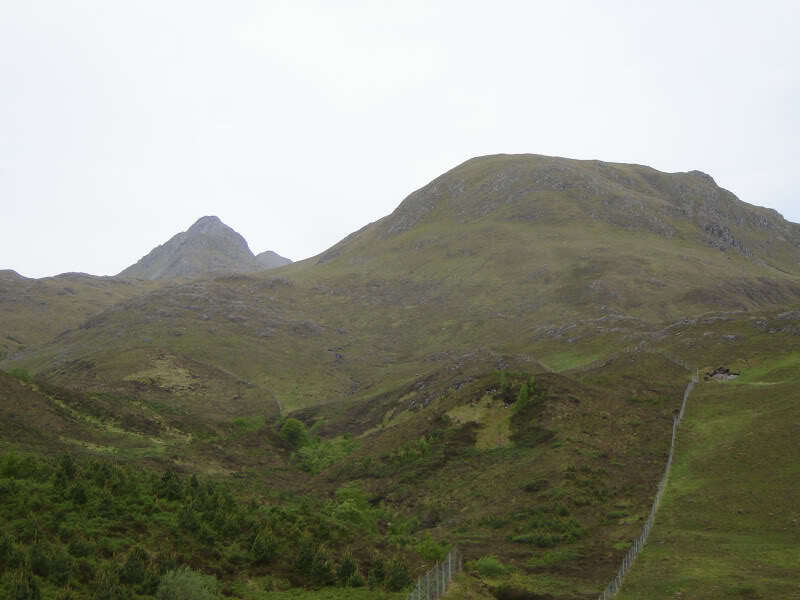 I parked in the lay-by next to the A87 (frequently used for ascent of South Glen Shiel ridge). 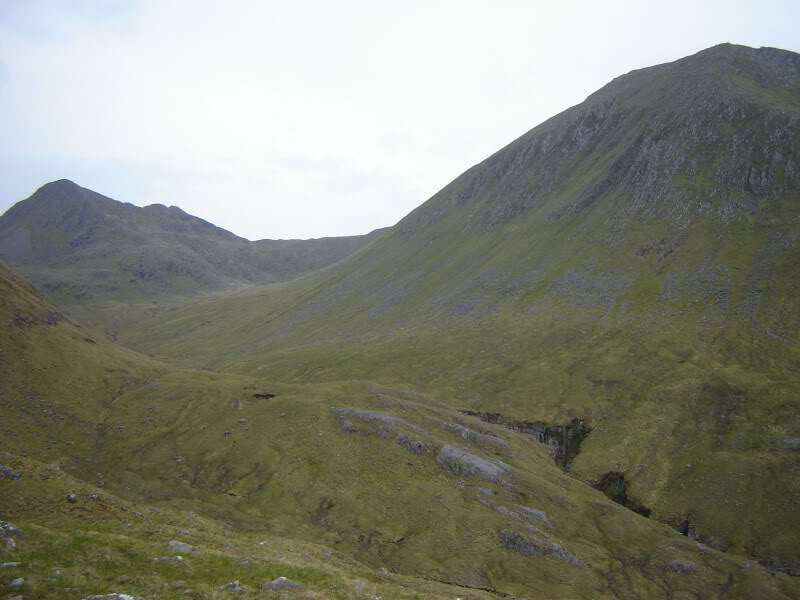 I set off along the Right of Way as far as the Bealach Duibh Leac – the bealach between the South Glen Shiel ridge and Sgurr a'Bhac Chaolais. 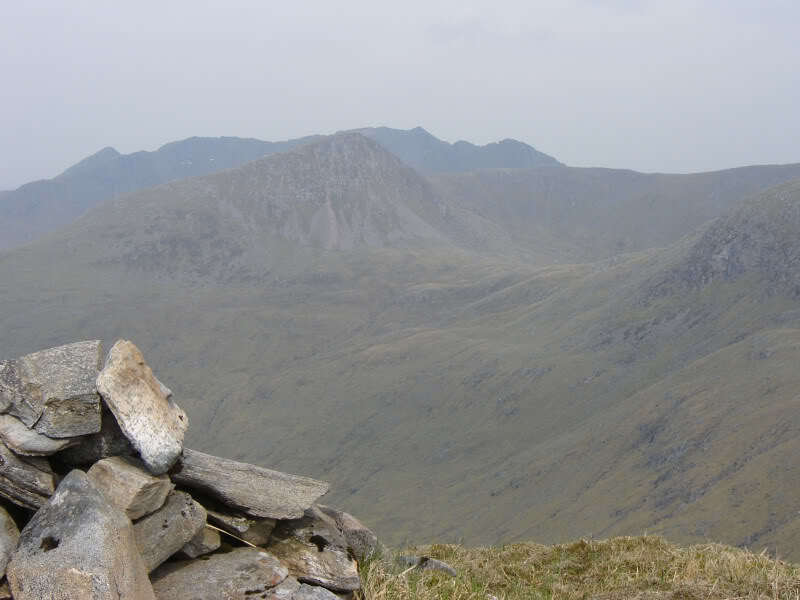 I had vague memories of the path having descended it ten years previous following a South Glen Shiel ridge traverse. 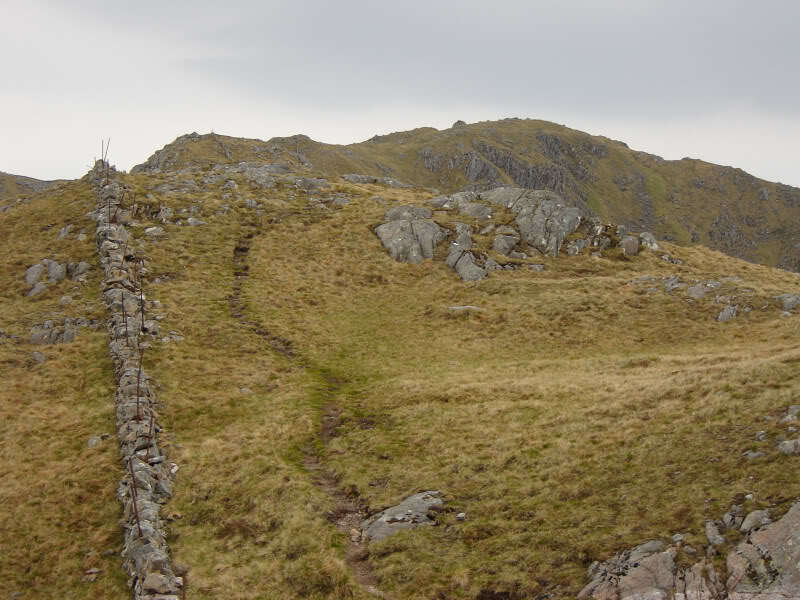 The path was fairly eroded in places as with many paths to Munros. 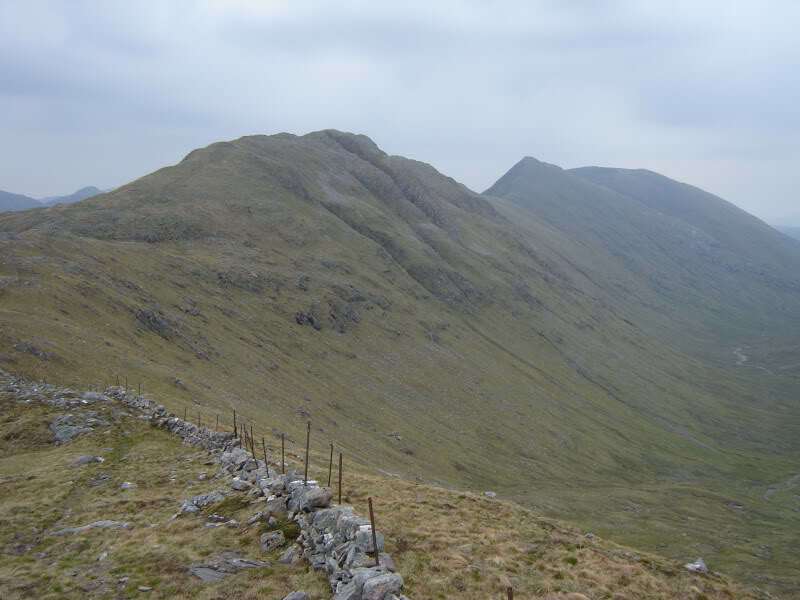 On reaching the Bealach Duibh Leac, I headed West towards Sgurr a'Bhac Chaolais. 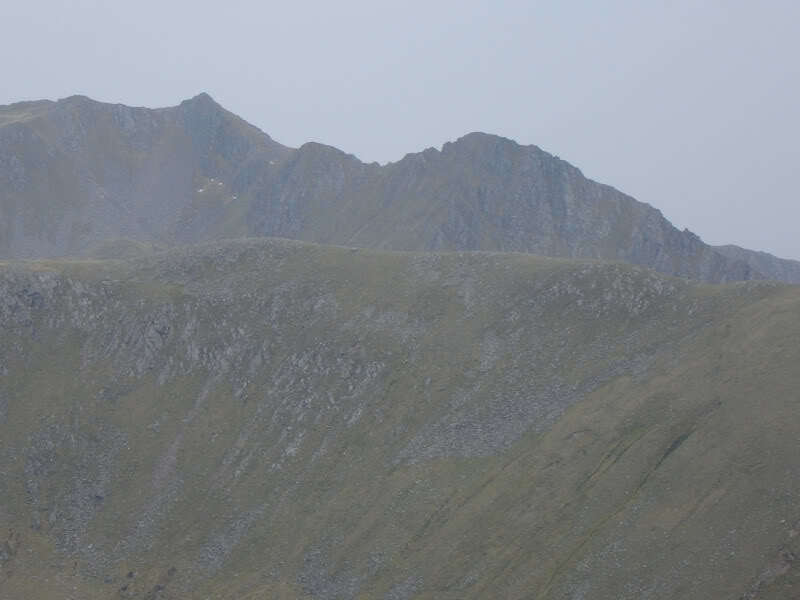 I was quite tempted to also ascent Creag nan Damh, however, I decided to leave it just in case I decide to repeat the South Glen Shiel ridge. 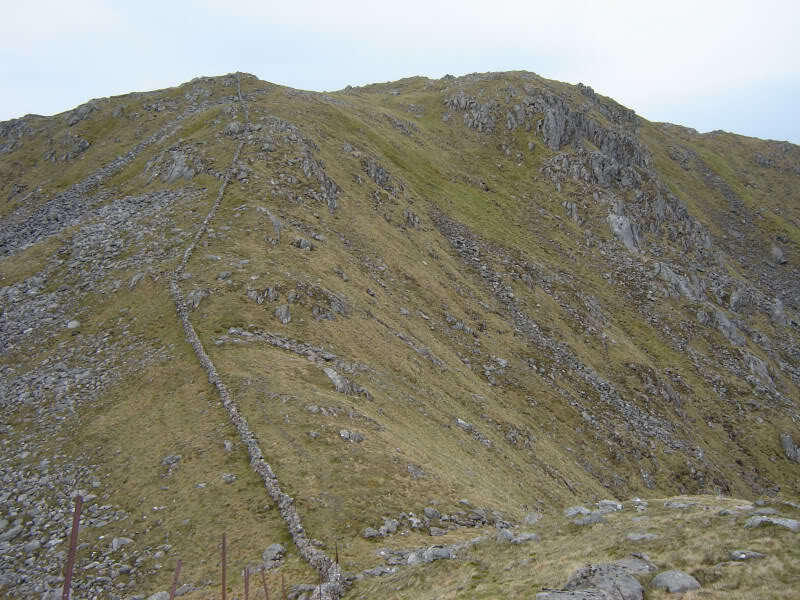 Once on the ridge I was quite amazed at the size and length of the dry-stane dykes up there. 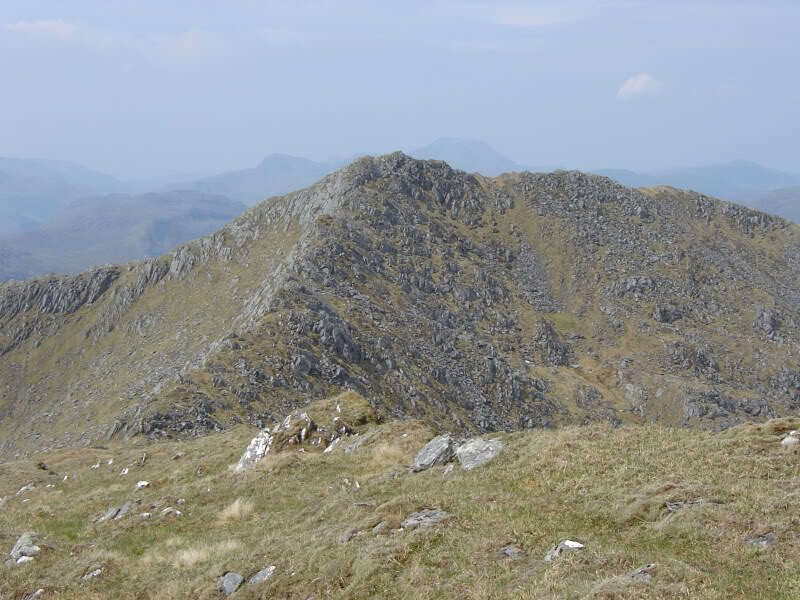 Sgurr na Sgine and the Forcan ridge looked quite impressive from the summit. 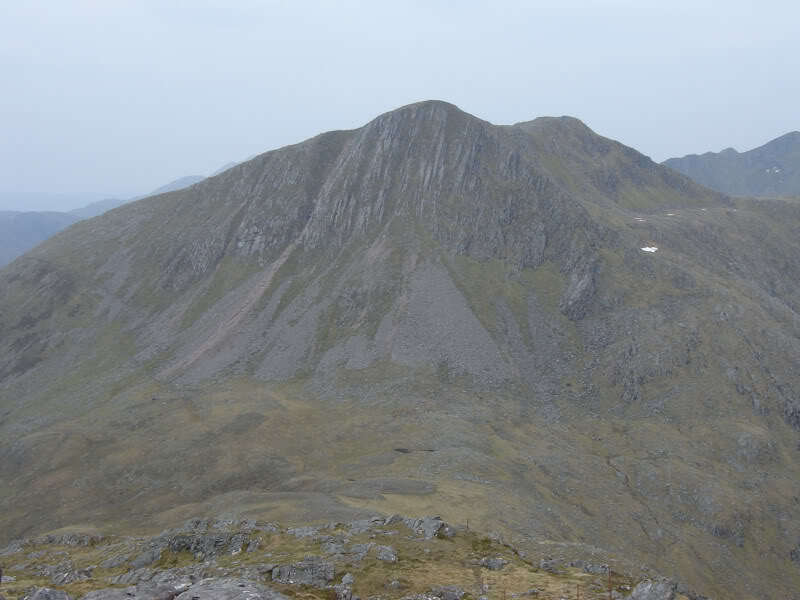 From the summit, I headed for Sgurr a'Bhac Chaolais' twin top Buidhe Bheinn. 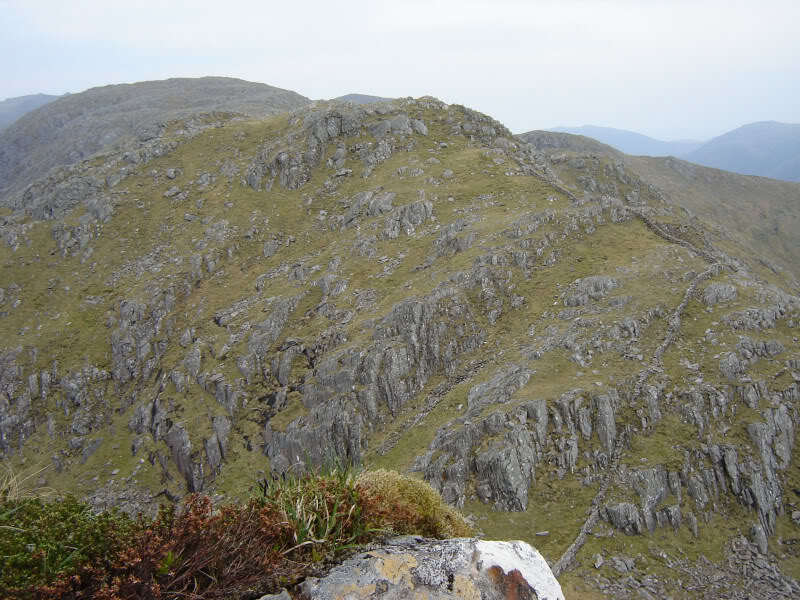 The ridge out to Buidhe Beinn was arduous with lots of ups and downs over grassy and rocky knolls. 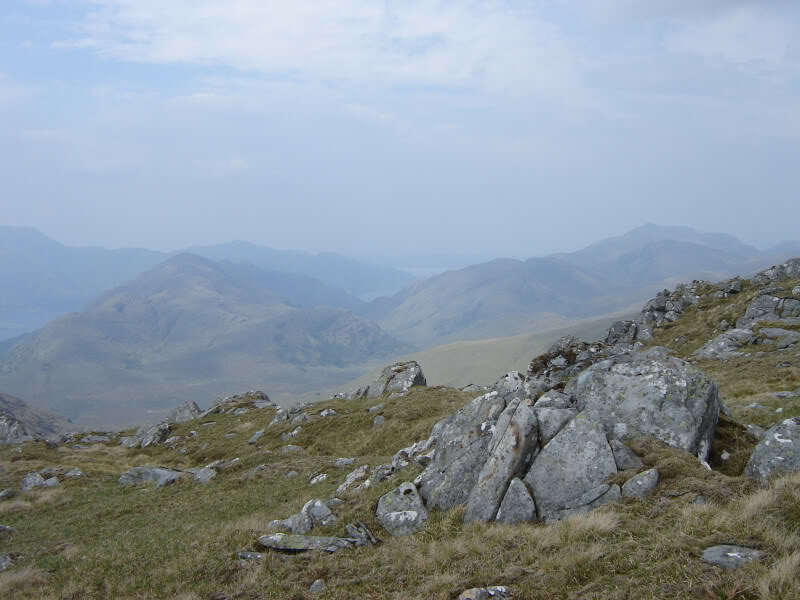 Was nice to reach the summit of Buidhe Bheinn, having approached it from Glen Shiel rather than the more usual Kinlochhourn. 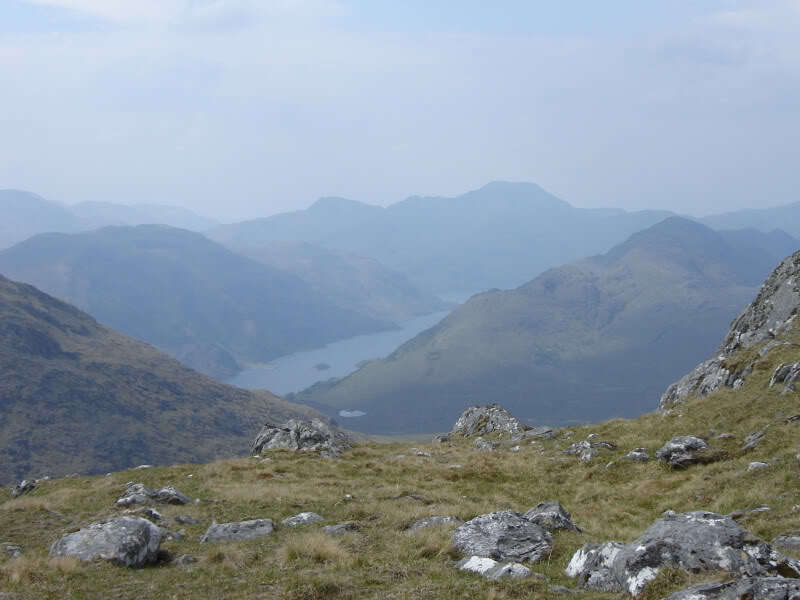 At the top I seriously contemplated heading down to Kinlochhourn on the off-chance that I could thumb a lift back round to Glen Shiel. 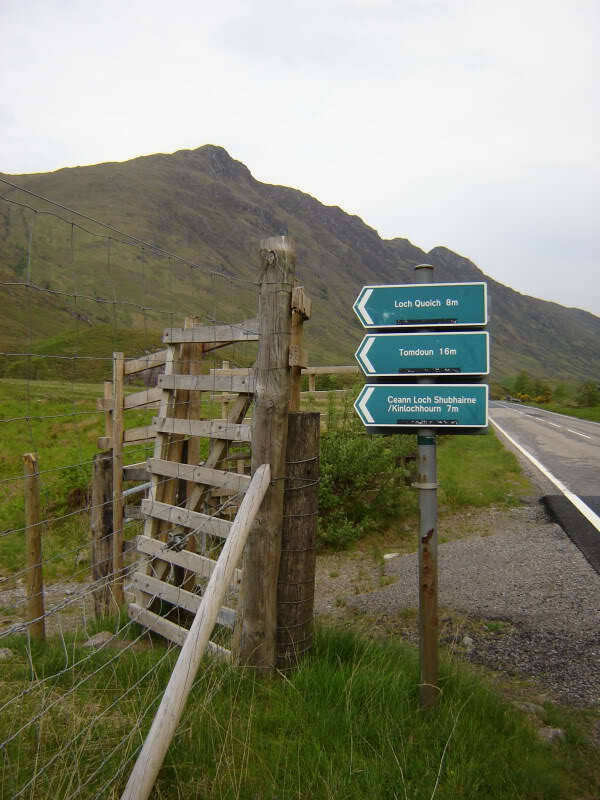 On hindsight, it was probably good that I didn't as Kinlochhourn isn't exactly busy with traffic. 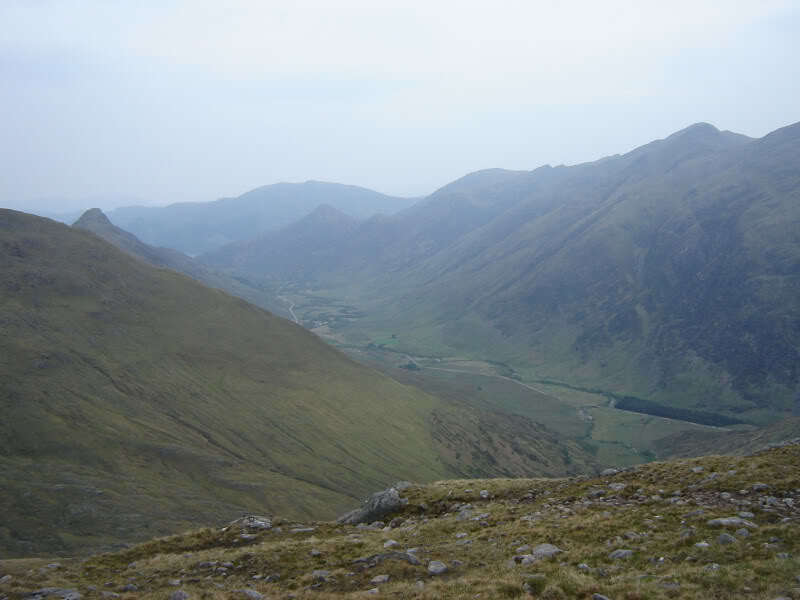 I was a bit disappointed that views were limited owing to haze. 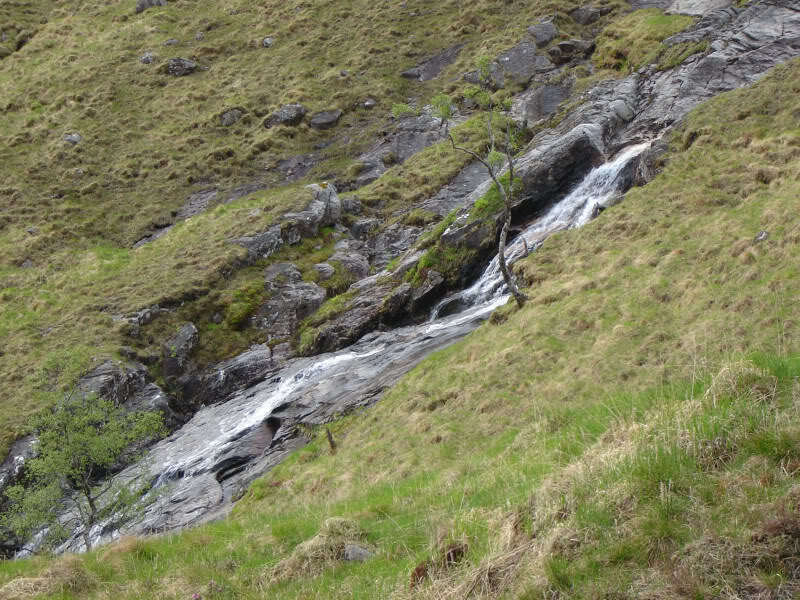 The walk back to Sgurr a'Bhac Chaolais again involved much up and down. 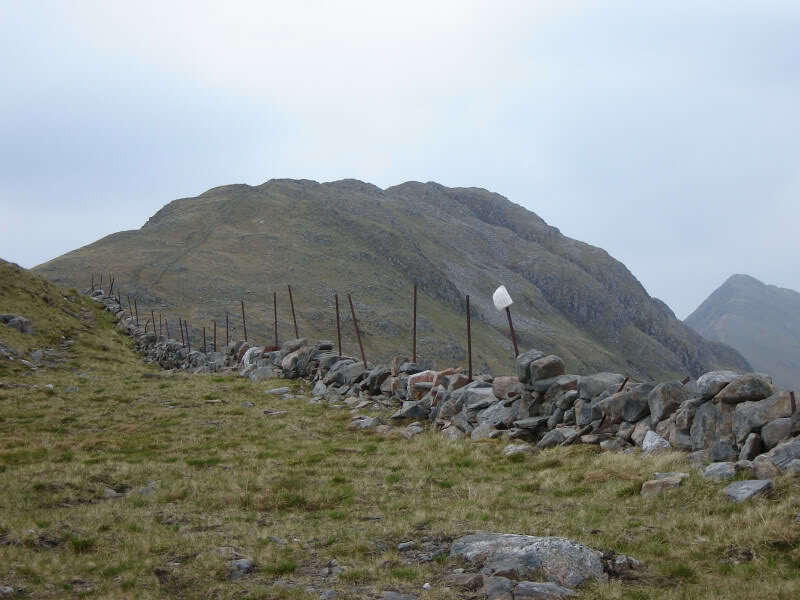 On reaching Bealach Duibh Leac, I descended via the Right of Way back to the car. 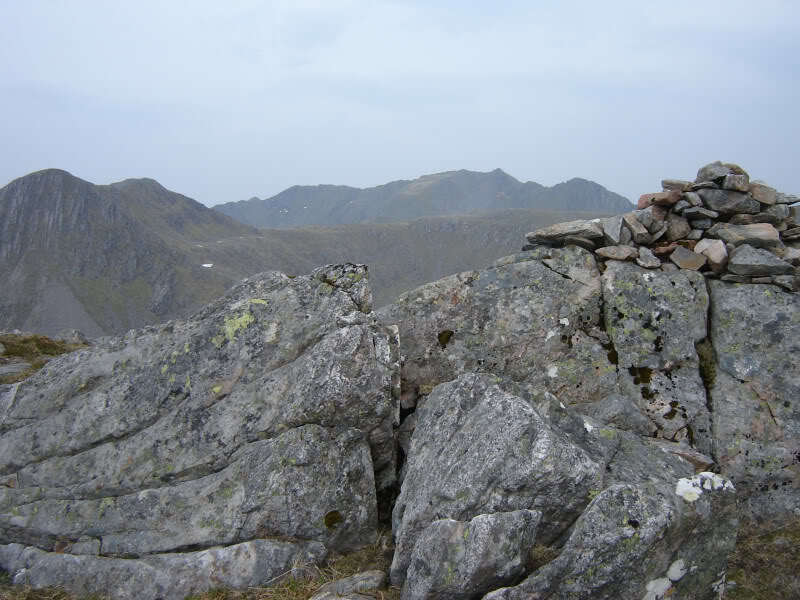 Two Corbetts or one? Once measured with an accurate GPS, two will become one .